The Five Star Tabla Set is the most professional tabla set that we can offer you and has a quality that you will hardly be able to find anywhere else in the west. The dayan produces a unique warm, full, sustained, clean sound. Repeatedly people have attested our five star tablas a level of quality that you can get a hold of only with great difficulty. We owe this entirely to the personal efforts of our Tabla Maestro Sajal Karmakar who, since 1997, regularly comes to our Tarang School from Kolkata, India, and teaches here. If you are a tabla player already, you will undoubtedly be able to appreciate this quality most. But even if you are a beginner, it will be very inspiring to receive such a sound as a feedback when practising. It will motivate you to keep going when the sound is full, clear and easily achieved on the instrument that you use for practising. This is especially important for beginners because at the start the strength in the fingers is not yet available but is spread over the whole arm and also because the stroke technique will still require some practice. Usually this quality is only available when you go to a tabla maker yourself and have great expertise regarding tabla quality or have a tabla maestro with you when you go there. 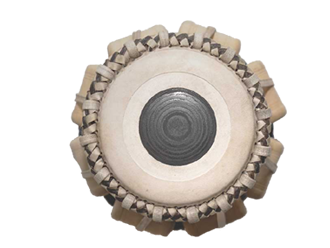 Only then will the tabla maker take the trouble to entrust his best craftsman with the job and take your wishes seriously. Good quality wood (for Tarang mostly mahogany or sheesham) with a good density, completely dried and with optimal vibration characteristics. 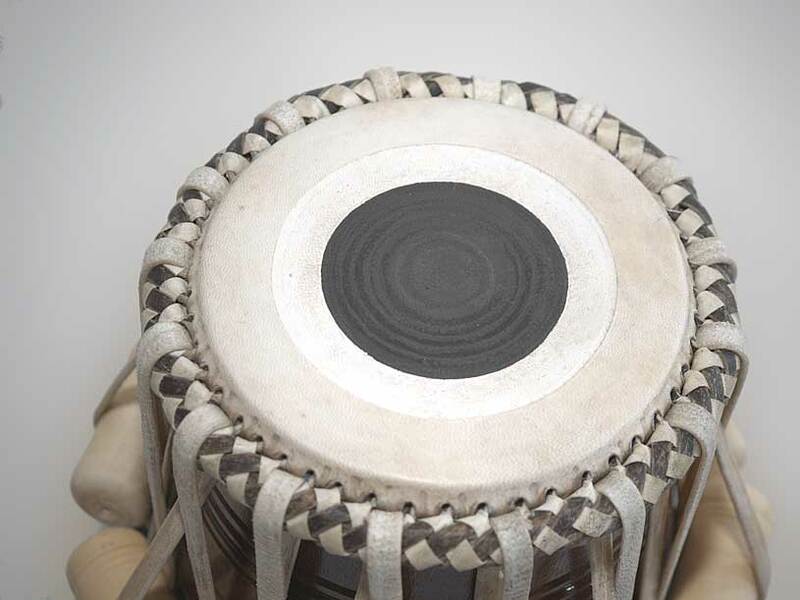 Both the belt and the goatskin must be prime quality for a Professional Tabla. A carefully selected, experienced craftsman who manufactures the puri (tabla skin) with accuracy and great skill. He must have the appropriate experience in both, the composition of the different layers of the skin and the making of the black paste in particular. The application of the paste is done in up to 8 layers. After drying, the tuning of each layer must be adjusted by polishing. For each intermediate sound result he must be able to decide unerringly when the best sound result has been achieved. Since the craftsman who is on a payroll is normally pressed for time, he is understandably not so uncompromising. Through the close supervision by our tabla maestro Sajal Karmakar this unwillingness to compromise is safeguarded. 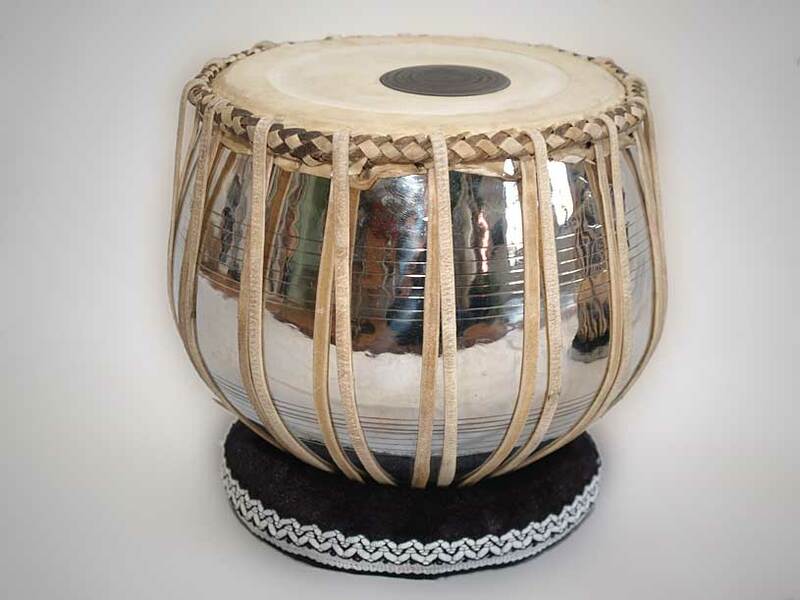 As a result, the tabla provides an excellent sound experience. We prefer tablas with so-called "Open Jowari", which means that an open, warm-sounding, sustained, clear note is produced. Sajal Karmakar as a tabla maestro with a bachelor's degree in vocals and as a perfectionist demands absolutely high standards in his art as a tabla player but also from his instrument. Even subtle nuances will cause him to reject instruments as inadequate in their sound results. He imposes the same high standards as on his personal instrument on all tablas which are exported to TARANG, Germany, as Five Star Tablas. 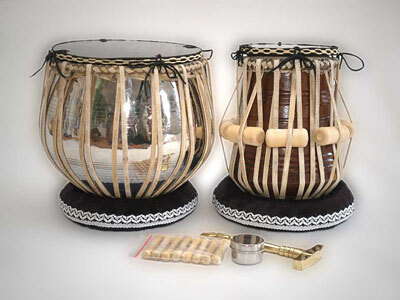 At the suppliers, Sajal Karmakar himself selects all the basic materials that are necessary for building a tabla set. He carefully selects the wooden shells which are then dried for months to make sure that the wood is really completely dry. Then he commissions a tabla maker, who is well-known to him, to manufacture the tablas. He is a well reputed and respected tabla maestro, especially in Kolkata. This is why he is held in high esteem and the instruments are made to meet his expectations. Sajal Karmakar monitors all the manufacturing steps of the instruments. In case a sound still does not satisfy his high demands, the tabla maker must start all over again. Only when everything is to his complete satisfaction, the finished instruments pass Sajal Karmakar's final test. After completion, the instruments are delivered to Sajal Karmakar's house and are regularly tuned by him over a period of a few months. 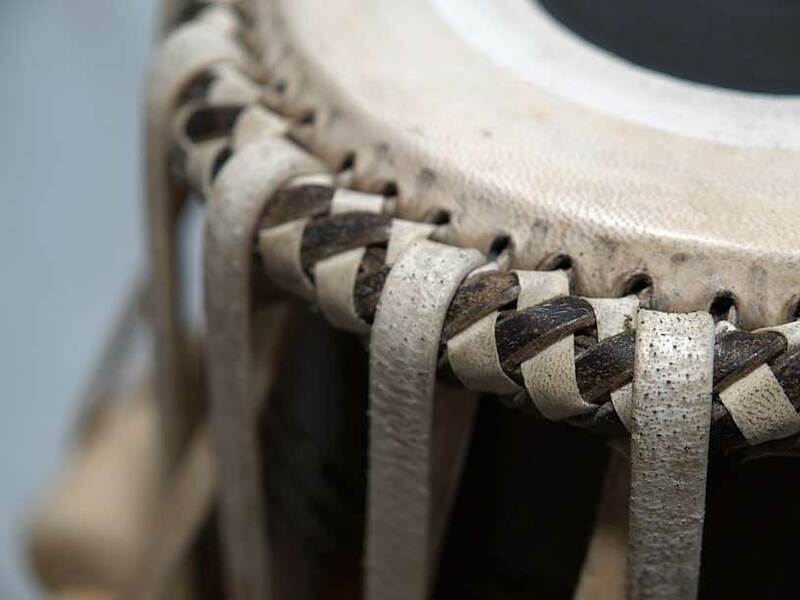 As the leather belts tend to slacken in the course of time and the tension of the hide decreases more and more, the instruments are re-tightened by the tabla maker from time to time (with the dowels removed). Should it, however, turn out during that period of time that some instruments have changed in quality, e.g. due to climatic effects, Sajal Karmakar has them re-headed. The tablas are then exported to TARANG without the dowels and with optimal tension of the belts. 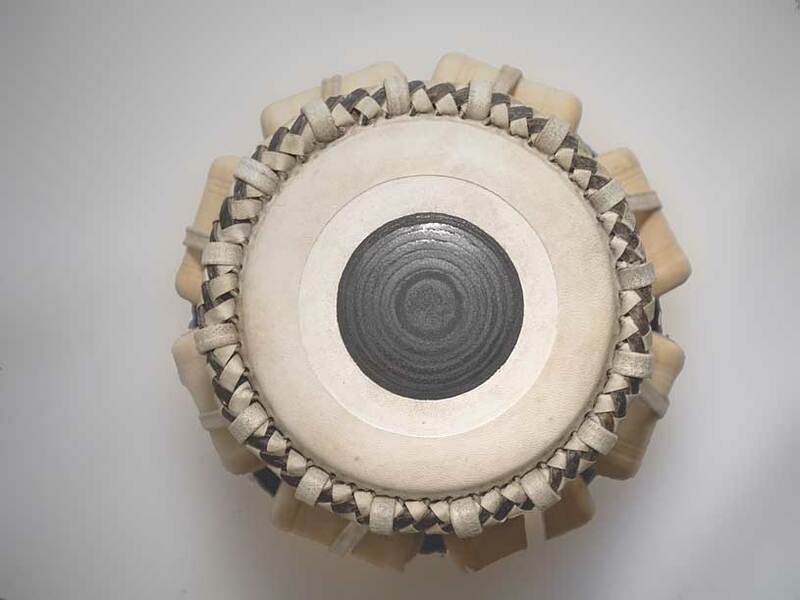 Through the regular handling of the instruments over a period of some months (frequent tuning, re-tightening and some of Sajal Karmakar's other tricks) the customer receives a very stable instrument with a unique sound. It has become increasingly difficult to obtain good quality wood as well as good hides and belts for the fabrication of tablas. 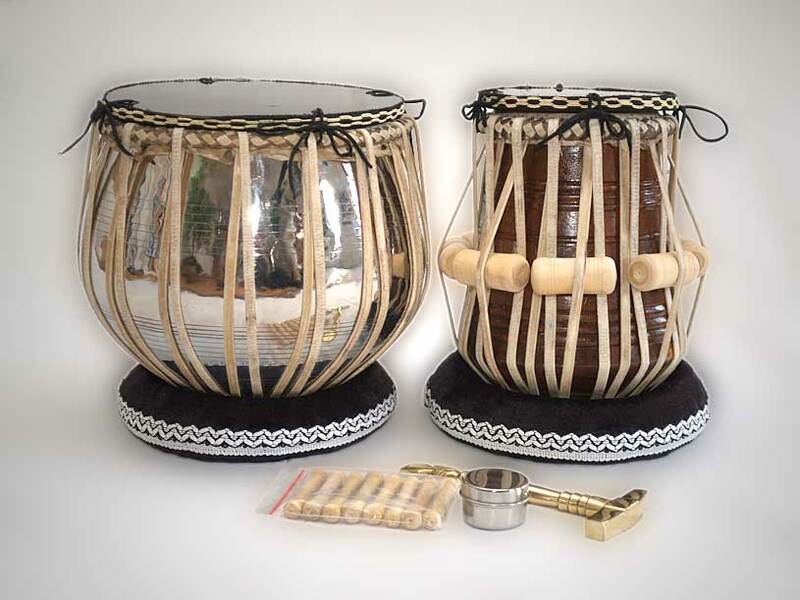 Due to the increased worldwide demand for tablas, all good tabla manufacturers have plenty of orders and even have to refuse a great deal of orders as they do not have enough capacity. In connection with the Indian mentality the result is, unfortunately, that often everything is exported to foreign clients in the western world, no matter what quality. They do not care if they lose customers due to the poor quality of the instruments, because they can always resort to new customers at any time. In order to get really professional first-class instruments, it is a great advantage to have an experienced tabla maestro with a tendency towards perfection who takes care of the manufacturing of good instruments on location. The owner of the company that produces the tablas has known and respected Sajal Karmakar for decades and has warned him several times to introduce such a high quality standard to the western countries. In his opinion it is impossible to maintain such a high standard in business. This is why every new delivery is a new challenge for Sajal Karmakar to do his best to keep this quality standard. This is a quality you cannot expect from any other importer who is supplied by Indian manufacturers and who has no choice but to take the quality they offer him. 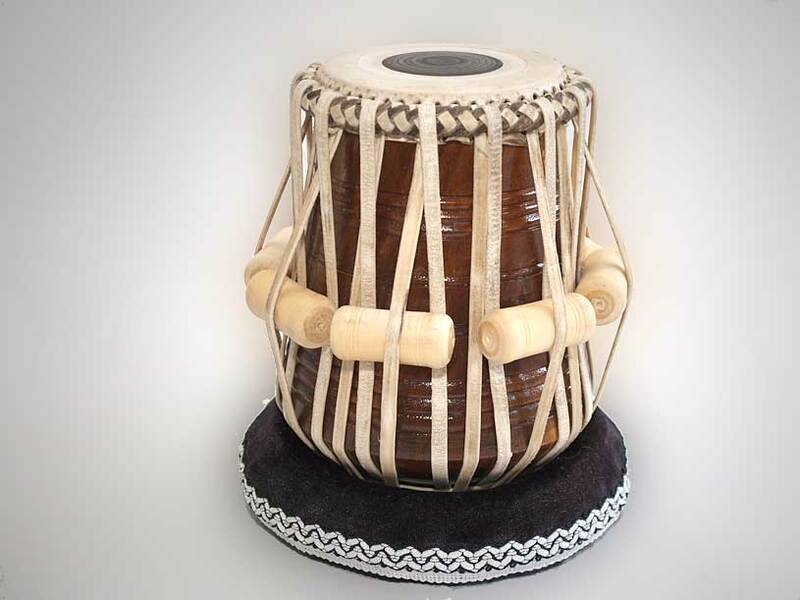 The Dayan (small wooden melody drum) is supplied by us in standard size with a diameter of 14 cm (5 1/2") unless you state special wishes regarding skin diameter and tuning when you order. Should you have wishes to this respect, please indicate these at the end of your order transaction in the field “Miscellaneous”. ATTENTION: Please state the required diameter of the Dayan at the end of the order transaction under “Miscellaneous” if you have any special wish otherwise we deliver standard size and tuning. ATTENTION: Please state the required diameter of the Dayan at the end of the order transaction under “Miscellaneous” if	you	have any special wish otherwise we deliver standard size and tuning.